Way back in 2004, before Hurricane Katrina and before I was photographing every morsel I put in my mouth, our family took a trip to New Orleans. 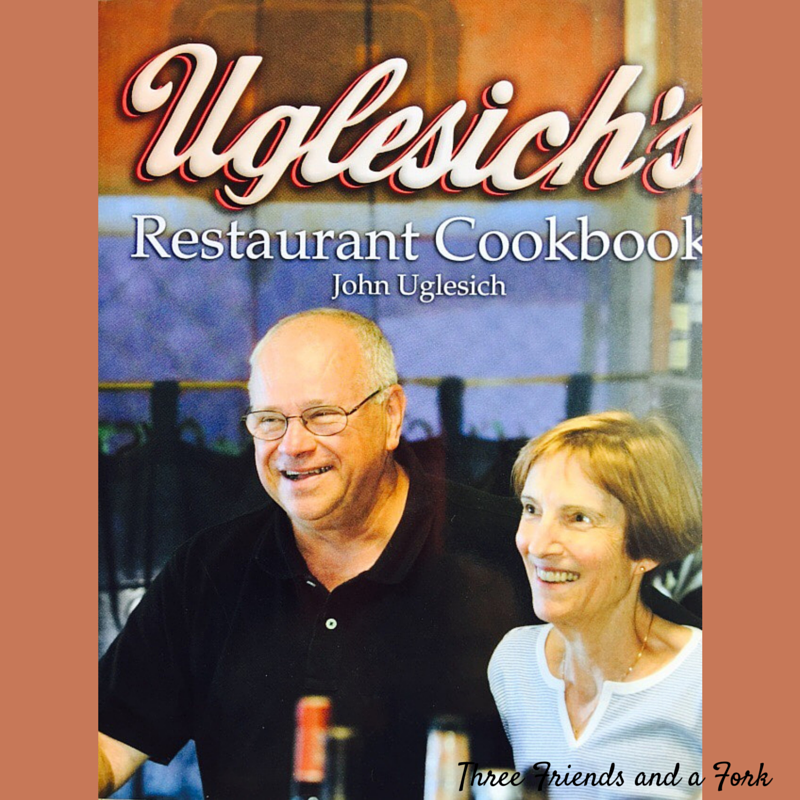 While we were there, we visited one of the most original and beloved restaurants in the Crescent City, Uglesich's. Started in 1927 by Sam Uglesich, a Croatian immigrant, and later run by Sam's son, Anthony, and his wife, Gail, the Uglesiches were able to gain a cult following without advertising. How? By serving some of the freshest seafood, prepared with care. With fans like Emeril Lagasse, Martha Stewart and Mario Batali, the Uglesiches are New Orleans royalty. 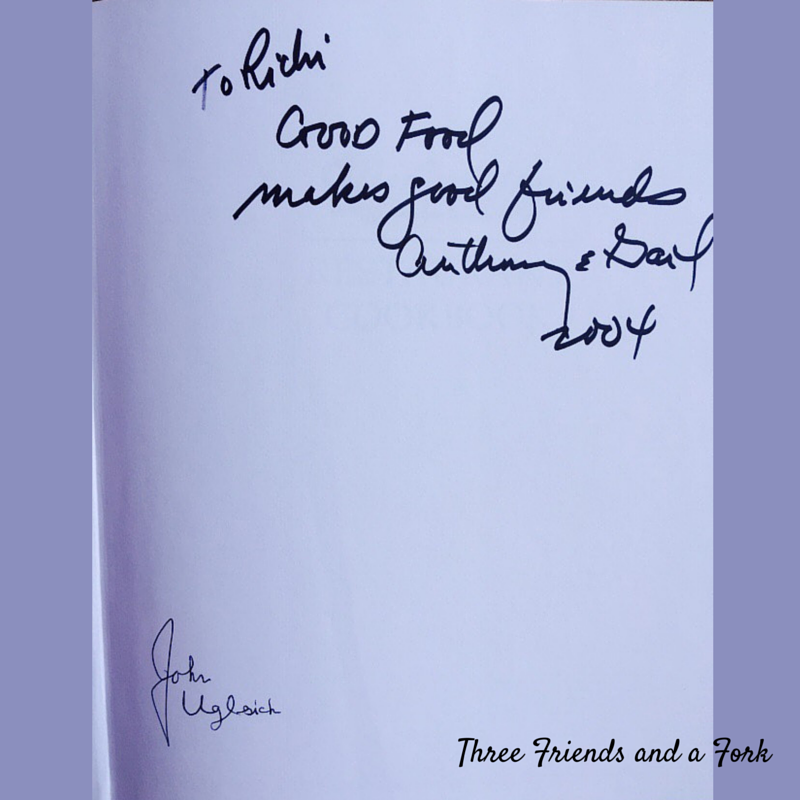 As Anthony and Gail always said, "Good food makes good friends." It sure worked for them! On the day we visited, after finding a parking place in the Central City neighborhood, we found ourselves in a line that started at the door of Uglesich's and wrapped around the block. Wondering out loud if we had lost our minds for standing in such a long line, we were assured by the man waiting in front of us that we were making a smart move. I remember him telling me that he was living in New York, but when he traveled to New Orleans, the first thing he did after stepping off the plane was to catch a ride to Uglesich's. As we got closer to the door, restaurant staff came out to take orders for Gail Uglesich's famous Bloody Marys. People stood in line sipping the bright red drinks and crunching on celery sticks. Nice way to pacify the crowd! When we finally broke through the door of the sunny yellow establishment, we were met by the booming voice of Anthony Uglesich, welcoming us to Ugelsich's. Working right next to him, churning out Bloody Marys, was Anthony's wife Gail. Anthony helped us make our selections at the cash register, and then assigned us to one of the ten tables in the room. It has been way too long for me to remember what each of us ordered, except to say that I think Scott had a shrimp poboy and I had oysters. I cannot remember what our boys, who would have been seven and eight at the time, chose to eat. What I do remember is that we all enjoyed our meals. The seafood was ridiculously fresh and expertly prepared. Our friend from New York was correct...it was worth the wait. As we were paying the bill and leaving, Mr. Uglesich talked to the boys, telling them to come back to see him. I purchased a cookbook and we waved good-bye, promising to visit again the next time we were in town. Little did we know, Hurricane Katrina would hit the very next year, leaving much of New Orleans devastated. Anthony and Gail Uglesich served their last customers in 2005 as well, much to the dismay of their devoted followers. The old yellow building in Central City survived Katrina and has actually been renovated. The front door still bears the Uglesich name and is still owned by the family. As of February 2014, John Uglesich, the son of Anthony and Gail, reportedly told local news the family didn't have anything planned, but they could open again in the future and they just wanted to keep the old place in good shape should something come up. As of now, that hasn't happened, but we can always hope.